The last few months has been a big transition for us. 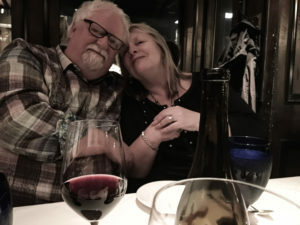 Bill John, our Executive Chef of many years, decided to go on an adventure with his wife Kristina and moved to New Orleans to learn all about Southern Cuisine. His kids are all grown up and off on their own, so with no responsibilities anymore, there was nothing to stop them from reinventing their lives. We wish them all the best! 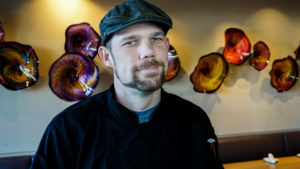 That made for an interesting time, however, as we had just added a new Chef De Cuisine, Brandon Meadows, to the family, whose training now included the Executive Chef position as well as his own job. There were days I thought his head was going to spin right off, but somehow he rode this wild beast of a restaurant through the rodeo that was the last three months, with weddings, funerals, meetings, breakfast, lunch, and dinner 7 days a week. Remarkable! Brandon’s skills were so good that he slipped into the Executive Chef’s Chair in smooth style, with hardly a hiccup. Welcome to the jungle Brandon! 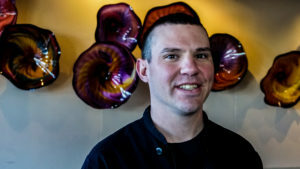 His Sous Chef Scott Longman is a remarkable talent whose contagious enthusiasm reverberates throughout the restaurant. Add in our new, new Sous Chef Erick Urbina, who is in training as we write, and we have a culinary team who will supply many years of creative bliss and excellent cuisine. The solid kitchen crew already in place, who is doing an amazing job of supporting these talented chefs, has provided a consistent and steady structure during these changes. 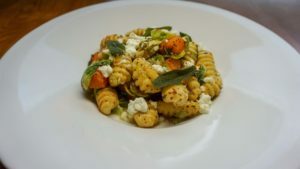 Brandon and Scott have already delivered some fresh-and good-looking dishes to the menu. 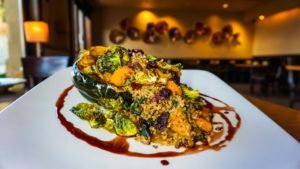 Their plant-based Winter Squash with Sauteed Quinoa is already a hit, as is the Braised Beef Cheeks with Farro. The new take on Crab Louis is fresh and crisp, and the flexibility of the Parmesan Gnocchi appeals to vegetarians and meat eaters alike. How? Come in and see for yourselves! 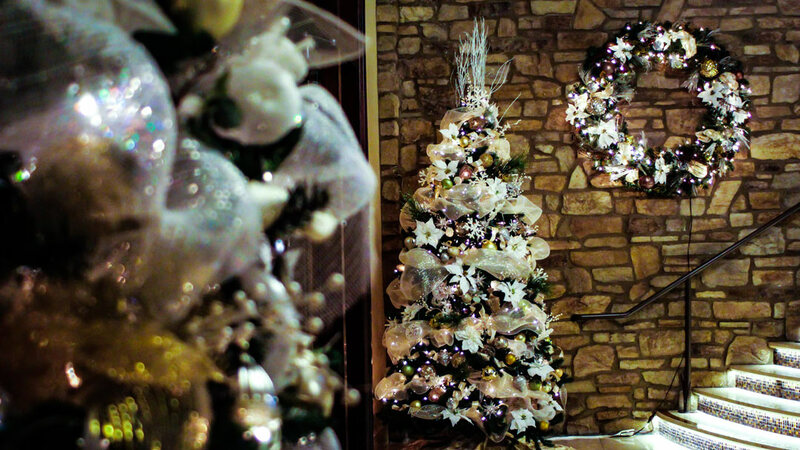 Thanksgiving sold out and Christmas will be here before you know it! 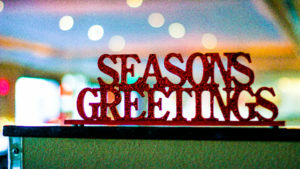 Reserve your family dinner on Christmas Eve or Christmas Day now as space will soon be gone. If you missed signing up for the French Champagne tasting, don’t worry! We’ll have a new sparkling wine tasting in January! We thank you for your support of Scott’s throughout the years and wish you and your loved ones a most Excellent Holiday Season, filled with laughter, peace and goodwill!